As the Democratic Party lurches, nay lunges, leftward, it is instructive to reflect on the writings of Ayn Rand, the prophet of capitalism. 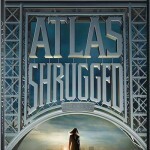 Rand’s 1957 masterwork, “Atlas Shrugged,” never ceases to amaze with its anticipation of the left’s multifarious schemes to undermine the economic system that is the foundation of our freedoms. 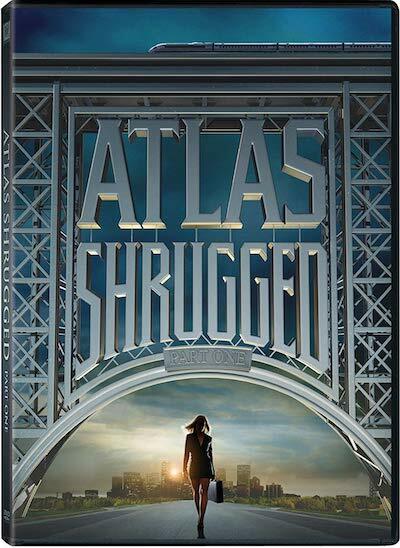 The world of “Atlas Shrugged” is full of conniving politicians, compliant journalists, fake news, government handouts, and munificent people who never tire of spending other people’s money. The current poster child of the century-long campaign to replace American prosperity with the failed slogans of socialism is Alexandria Ocasio-Cortez, the 28-year-old political activist who unseated 10-term Democratic Congressman Joe Crowley in New York’s 14th District. As an avowed Democratic Socialist who played the role of David to Crowley’s Goliath, Ocasio-Cortez has enjoyed the spotlight in the national media for the past month and brought attention to the socialist cause espoused by Grandpa Karl Marx, Uncle Joe Stalin and Sen. Bernie Sanders. Um, well, no. Actually that makes no sense. The unemployment rate would be exactly the same if people who work two jobs worked one job because, hey, they would still be employed. And, oh yeah, if someone who works 80 hours decided to work 40 hours instead, they would (stop me if you’ve heard this one before) still be employed. Thus, no change in the unemployment rate. Well, that’s not exactly true either, because if those people working two jobs or longer hours were to cut back, there would actually be more opportunities for other people to get jobs, and (whadaya know?) the unemployment rate would actually drop. Did I mention that economics major Ocasio-Cortez graduated fourth in her class at Boston University? Be afraid. Be very afraid. It is very unlikely that Ocasio-Cortez ever read “The Wealth of Nations” by Adam Smith, let alone “Atlas Shrugged,” but she is the enemy of both because she fails to understand the profit motive. America has succeeded beyond the pale of any other nation that has ever existed on the face of the earth because it has guaranteed the most freedom to its citizens to pursue their own happiness (rather than have it handed to them on a platter). Ocasio-Cortez and her ilk believe that they owe a job, health care, housing and every other essential of life to not just every American citizen, but to every person on the planet. This is the ultimate corruption of “noblesse oblige,” the ancient notion that it is the responsibility of the nobility to be generous to those “beneath them” — you know, the deplorables — because they take pity on them and their inability to rise up on their own. In other words, those who demand the fruits of another’s success not because they have earned them, but because they think they are entitled to them. And what’s even worse than that? Someone like Ocasio-Cortez, who grew up in a privileged background as the daughter of an architect and leveraged her own position to blackmail successful people into supporting those who have the same opportunities but have failed to take advantage of them. Such socialistic twaddle was what led to the collapse of the Twentieth Century Motor Company in “Atlas Shrugged,” despite the company’s invention of a new type of motor that would have revolutionized human society (not to mention making a healthy profit for its owners). Instead the company chose a Marxist model of production — from each according to his abilities, to each according to his needs; thus guaranteeing that pity would bleed the company dry. No, actually you were defeated by your inability to grasp the fundamentals of human nature, and that is the same thing that will defeat Alexandria Ocasio-Cortez and anyone foolish enough to follow her into the dust bin of history. Communism/Socialism can be summed up in one sentence: It is based upon expecting people to behave AGAINST their own best interests. And the corollary to that–which is verified by the blood-stained history of Communism in the 20th Century–is that when people refuse to voluntarily do that, they must be FORCED to do so, at the point of a gun! Hence why the Communist elite in countries controlled by them killed and imprisoned MILLIONS of their OWN country’s people! If ANY of these CLUELESS Leftist snowflakes had ever read an ACTUAL history book, instead of the revisionist CRAP that is being palmed off on them as “history” these days–they would KNOW this. The fact that they are so IGNORANT of these facts–and that the Leftist-controlled public school SHEEP FACTORIES and colleges are graduating MILLIONS of them EVERY YEAR is scary, indeed! I wish people were more knowledgeable about the use of the term ‘liberalism’. It was originally the philosophy of The Age of Enlightenment, with beliefs in individual liberty and rights, until the middle of nineteenth century when reactionary socialists started co-opting the term for themselves. So, the classical liberals now have to define themselves as libertarians, objectivists, or even ‘conservatives’. Refer to Hayek’s ‘Why I’m not a Conservative’. Ayn Rand should be required reading in schools. Course the left would teach her writings as false. IMO it already IS Required reading.. All better to indoctrinate people into their liberal mindset. Ituser, Ayn Rand is WILDLY anti-Communist and pro-Capitalism. Not liberal AT ALL. In fact, she had nothing but CONTEMPT for Leftist LOONS! I thought it was the other way around. Rand was pushing the commie/socialist idea with that book/film.. Not that he was mocking it.. Guess since i never READ the book (or bothered seeing the film), i didn’t realize that. ltuser, since you admittedly know absolutely nothing about this topic why do you comment on it? Ayn Rand was female. She wasn’t a liberal or a communist. She was a capitalist. You could learn a lot from her. We all could and some of us have taken the time to actually read the book. Just because i may not have read the book, doesn’t mean i can’t comment on this article..
LOL. Very true. There’s no rule against displaying ignorance for the amusement of others. Carry on! Unfortunately, Bernie Sanders, Ocasio-Cortez and their ilk will cause a lot of damage and ruin countless lives before they’re defeated. That’s IF THEY are defeated. Just looking at how many brain dead dolts, our colleges are churining out, who ‘feel OK with socialism’, i don’t see us defeating them any decade soon..
USSR tried socialism and crumbled to dust. Cuba is trying socialism and is in deep poverty. North Korea is socialist and is the worse place on earth !! China tried socialism but is slowly turning to capitalism. Socialism assures “equality” in poverty, oppression, and degradation of humanity. Socialism ALWAYS empowers government by stripping ALL personal rights; including any wealth or decency or religious beliefs. This is because the government owns everything. The government treats people worse than animals. Government demands exclusive obedience and adoration. This is the future of America if we fail to stand strong against the enemies of capitalism, freedom, and Christianity. How did this dingbat earn a degree in Economics from Boston University? Anyone with any common sense would realize that money for all the “free stuff” she’s proposing has to come from somewhere. She probably was just Handed the degree imo. Not to mention her ABYSMAL ignorance about foreign policy and other countries–DESPITE her OTHER “degree” in “international relations” from Boston University, sam236. I wonder, is there a way a school can RESCIND a degree it awarded, because they realized the student they ‘awarded it to’ obviously is TOO STUPID TO have passed it..
How? “Kneepads” come to mind. The problem is more and more young people are agreeing with her views and the views of Bernie Sanders. I am sure there will be a massive “Get out the vote” initiative like when Obama was elected. Hanky, at the rate the Leftist LOON-controlled educational system is graduating MILLIONS of these clueless, thoroughly brain-washed lib-bots every year, I’m not so sure we CAN outvote them. And even if we can, I’m sure that won’t be true for much longer. The COMMUNISTS won’t have to “overthrow” us. These young lib-bots will WILLINGLY hand the country OVER to them at the ballot box! So true teabag. WE may outnumber them right now. BUT UNLESS WE REIGN IN the indoctrination centers known as schools, WE WILL eventually be out numbered by them.. Especially as we die off, and they just keep cranking out more and more ‘drones’..
Let’s spell it Oh-Crazy-Oh! from now on. And let’s drop the -Cortez part inasmuch as that besmirches the name of the great, Christian, Spanish conquistador who put an end to the horrendous, human-sacrifice-based reign of Montezuma. Not to MENTION the enemies of common sense, Ron Hood! MS. Cortez is promising everything the Soviet Union promised it’s citizens and look how that turned out. Capitalism took over. Look at communist China. The successful areas have a capitalist economy where people can enjoy the fruits of their labors. The Soviet Union was one of the largest countries in the world with some of the most fertile land, but the couldn’t feed their own people. Is that what MS. Cortez wants? Remember the pilgrims? Gov. Bradford had orders that when they landed in this new country, each would be given a plot of land, all that was grown would go in the common barn and each would take what they needed (sound familiar?). It worked at first until some saw others doing much less but still getting what they needed. Why work so hard then? So they didn’t. Come winter they almost starved because so few had put so little in the barn. Gov. Bradford was smart (obviously today wouldn’t be a Dem!) and changed things. Each could grow whatever they wanted and do with it what they wanted – hoard it, use it, sell it – but 10% had to be put in the common barn for those too sick or elderly to work. There was an abundance of food and we had our first Thanksgiving. Socialism has never worked and never will. But unfortunately we no longer learn history and are doomed to repeat it over and over and over an…..
Love this! Couldn’t agree more. Actually, the concept of “noblesse oblige,” the ancient notion that it is the responsibility of the nobility to pity and be generous to those “beneath them” because of their inability to rise up on their own, is even more corrupted by this neo-Socialist. At least in medieval times the nobility in fact owned ALL the property. So when they gifted valuables or freed serfs, they actually distributed value or shared bits of freedom that was otherwise unobtainable. Socialists and Communists are NOT the nobility and they legally own nothing. So they first have to enslave the entire population and steal the property they then redistribute. Not generous, not moral, not nice, not honest, just evil.